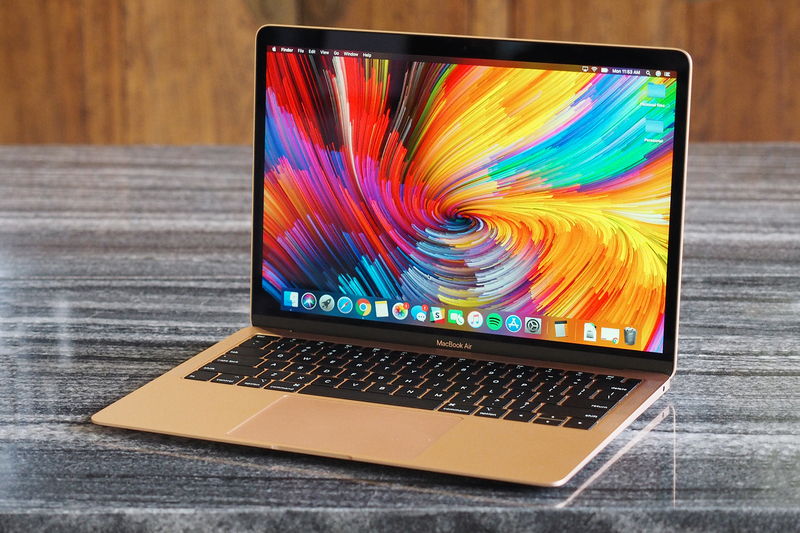 The new MacBook Air features a dual core Intel Core i5 processor, the eighth generation, Retina display and Intel graphics support Intel Graphics. Buyers can choose a configuration with 8 or 16 GB of RAM and up to 1.5 TB of SSD. Laptop not got a Touch Bar, but with Touch ID. The new MacBook Air faster than the old, but not much. No matter what you’ve been model — 2014 or 2017 — growth will be not very noticeable. You can do all the same as the old Air. I work with six applications at the same time, and in Chrome open more than 10 tabs, and everything is in order. I think for most people it will suffice performance. If you expect to edit video or process massive RAW photos, just buy a MacBook Pro. New Air more powerful than the 12-inch MacBook, but again, the difference is not as big as I expected. Until recently, the best computer for most people was the MacBook Air, and Apple take too long to do his update, so people were waiting for. Now the wait is over. But if you are hoping that lightning struck twice, and this MacBook Air will be as revolutionary as the old one, it is not so. The new MacBook Air includes everything that came in laptops over the past few years. It is on par with other laptops. That may force you to purchase Air and not another laptop is the battery life. No wonder the laptop is drained much faster when I used it to charge my iPhone, which I often do. In another recent test, which included surfing via Safari, the communication Slack and iMessage, edit multiple photos in Lightroom when screen brightness to 60-70%, the laptop lasted just under eight hours. This is the same screen technology that is already used on the 12-inch MacBook, and the range of colors that Apple advertises, actually — sRGB — the standard for laptops in this price range. This is one of the major differences between MacBook Air and MacBook Pro. MacBook Pro Apple sets the display-enabled professional profile P3. For me it is not a fundamental difference, but if you need the profile Air you will not do. Undoubtedly, the new Air is a major update. It’s an expensive device, although Apple still controls the situation, unlike the Mac mini. If the totality of features and price, the MacBook Air is better 12-inch MacBook in almost all respects. Actually, the 12-inch MacBook will probably not be long in this world. And that’s fine. New Air is certainly the best buy.